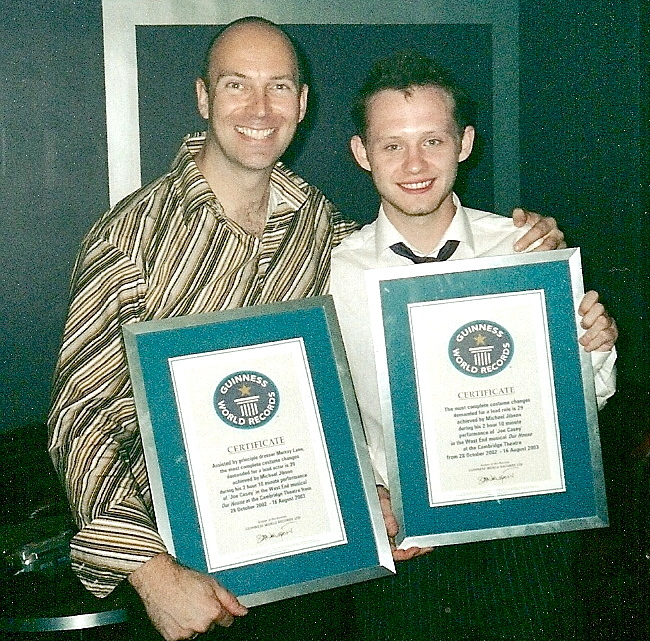 When we last met Murray Lane he was stuck in a lift with Patti Lupone seconds from disaster in Sunset Boulevard. In the second part of our exclusive two part showbiz interview , we talk to the man who dressed Lee Evans in The Producers, once revealed a nearly naked Oliver Thornton in Priscilla, and is now leaving Oompa-Loompas in stitches on a nightly basis at the Theatre Royal Drury Lane. Right now I’m working on Charlie and the Chocolate Factory – I can’t believe it’s been two years! I actually started 3 weeks after the show opened. Before that, I was on Viva Forever! Who do you dress in the show? I dress the two Grandmas, Josephine and Georgina (Roni Paige and Myra Sands) – fabulous ladies who have been performing in the West End forever. I just make sure they’ve got water, gloves, jewellery and glasses. For most people Act One is quite easy, but then for the interval pre-set onwards it’s full on and it’s all about the Oompas. So it’s all change in Act Two? Charlie gets to the factory gates at the end of Act One, and from then on there are massive pieces of set constantly being moved around by the crew. We all have to wear steel toe caps – even the members of the Wigs and Wardrobe teams – because you don’t want an 18 foot high truck running over your feet! How does Charlie and the Chocolate Factory compare to other shows? People think the life of a dresser is just standing at the side of the stage saying “here’s your dress, off you go”. On a show like Me & My Girl, it’s 1930s day frocks and some cricket whites but it’s totally different on shows of the scale of Priscilla, Lord Of The Rings or Charlie and the Chocolate Factory. One particular Oompa costume is such that once the cast member is in the costume, they cannot even bend down – so while they’re putting on their gloves, dark glasses and other bits of costume, we’re scrabbling around tying up their shoelaces! We then have electrical elements so we find ourselves plugging in their feet and helmets and connecting battery packs so they all light up. Then, when they go on stage, we’re running around backstage collecting up the pieces of the previous costumes – rather large squirrels! Then I need to make sure the finale costumes are in the right order – when the Oompas are on stage for their bows they spell out “THE OOMPA LOOMPA” – so if anyone’s off you have to switch over the velcro letters on their dungarees…the last thing you want is a matinee audience clapping along to “THE MAMA POOP LOO“. So you have to change costumes for understudies? Absolutely. Often you come in and the list of things to swap over is mammoth – this can be due to holidays, illness or injury. Sometimes I’m still running around like a mad thing when the show’s about to start. But you get a breather in the interval? Nope…I start my Act Two on the fly floor, forty feet up in the air with the Oompas…whether or not you have a head for heights, you have no choice! Act Two is a succession of Oompa changes. Once the show comes down I collect the laundry from all the dressing rooms, sort it into baskets – finally if I’m lucky, by ten thirty I’m done! Most people need to get out fast to get trains – more and more people are living further away because London has gotten so terribly expensive. What makes a great dresser? You have to be calm, diligent and think on your feet. When you’re setting up a show, you don’t know where the next bit of set’s going to fly in from. If you’re dressing one person, particularly if it’s the star, then you’ve got to mould to their personality. You’ve got to get them on in the right frame of mind, not just the right costume. There are so many extra pressures on them, especially at the beginning of a show: they’ve got interviews to do, press, all the extra rehearsals, recordings – if they come in and they’ve had a bad day, you’ve got to lift them into a space where they can take on the world. Safety pins! Especially if something has a zip. If there’s a big zip up the back of something and that goes, then you’re stuffed. So always carry a couple of safety pins, even if you have nothing else. In the dressing room I’d have a little sewing kit but you really can’t beat a safety pin in an emergency! What’s the most rewarding thing about being a dresser? The best thing? Definitely the people. I never laugh as much as I do at work. Often you’re working with people who are incredibly quick-witted. Oh, and the costumes are pretty fabulous! The hardest thing is the same for me as for the people on stage – that you’re doing the same thing 8 shows a week. I guess that’s why you have to have so much fun backstage, to keep it fresh. Perhaps my biggest personal challenge was when I dressed the lead boy on the Madness Musical Our House. He had twenty-nine costume changes per show and he only left the stage at most for about 40 seconds. Murray with Our House leading man Michael Jibson. Any advice for someone who wants to be a dresser? Get work experience in theatres if you can because you do really need to see how it all works, what the atmosphere is like and build up some sort of CV. Personality is important too. Some people do get taken on for work experience in the West End but it’s more on the Stage Management side…it’s less often now simply because it can be more dangerous backstage with big automated sets. 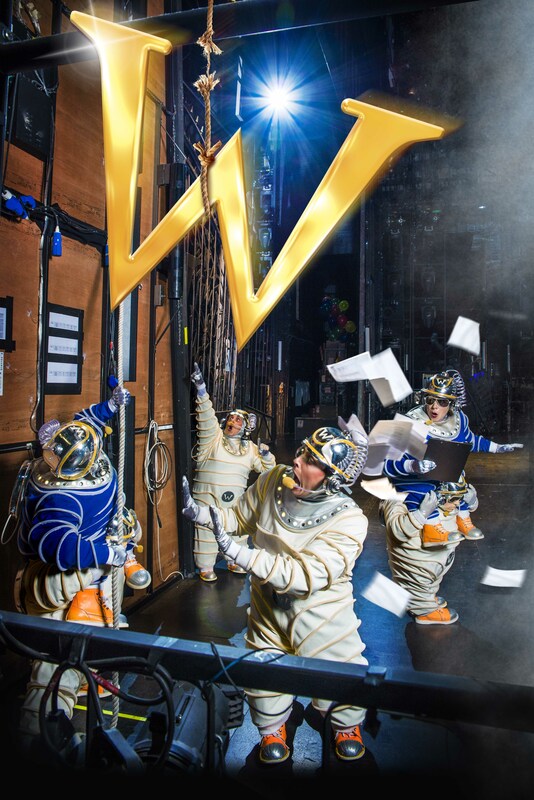 Write letters to every stage door…see if you can find out the wardrobe mistress or master’s name first. Don’t give up because being a dresser is amazing. 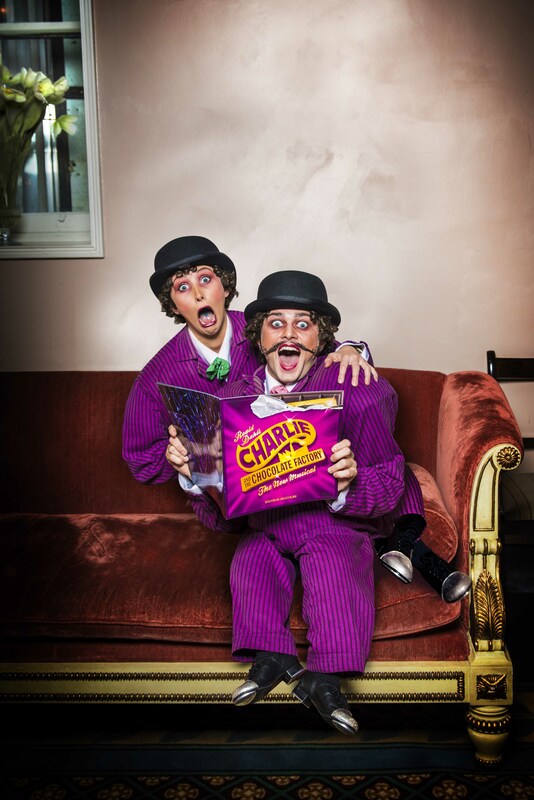 Murray Lane is currently dressing on Charlie and the Chocolate Factory, directed by Academy Award® winner Sam Mendes. Tickets are on sale though fromtheboxoffice and via the show’s official website. More information on your visit to Theatre Royal Drury Lane is available here.